Chris Pratt and his girlfriend Katherine Schwarzenegger enjoyed a New Year's Eve in Cabo. As per the information obtained by E! 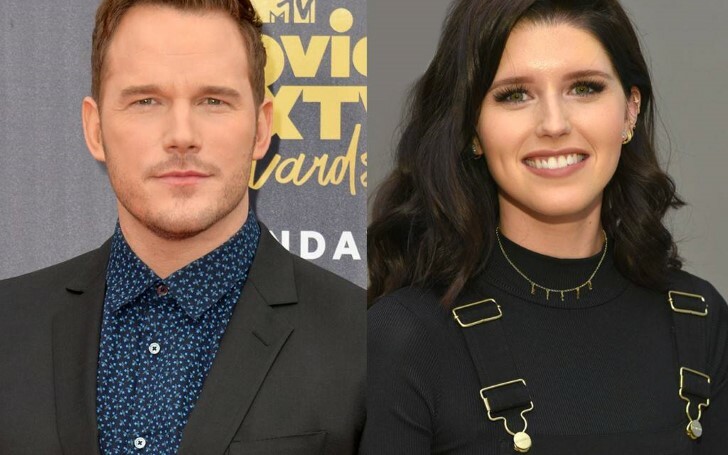 News, the Guardians of the Galaxy actor Chris Pratt flew to Cabo with his girlfriend Katherine Schwarzenegger on New Year's Eve. The couple was accompanied by Katherine's siblings and her mother Maria Shriver, Pratt's son Jack with his ex-wife, Anna Faris, on the trip. According to the information shared by a source, everyone on the trip celebrated the new year 2019 by the pool. "On New Year's Day, everyone hung out together by the pool and the beach celebrating the first day of 2019. Katherine and Chris both spent time swimming and laying out next to each other. Chris seems very close with all of the family and like one of the gang. He was joking around with Katherine's brothers and having fun. They all shared a lot of laughs and good times." "Chris and Katherine took photos together and shared a few kisses." "Happy Birthday Chief! Your smile lights up the room. I've cherished our time together. Thrilled God put you in my life. Thankful for the laughs, kisses, talks, hikes, love, and care." Since then, the couple is quite inseparable. They were spotted enjoying dates together as well as spending time with each other's families. Chris was married to Anna Faris prior to his relationship with Katherine Schwarzenegger. Faris and Pratt first met back in 2007, while starring together in the comedy Take Me Home Tonight. Their relationship soon turned serious and in 2008 the couple finally got engaged. Eventually, in 2009 the couple got married and later in 2012 they welcomed their son, Jack into the world. In August of 2017, the duo announced their separation citing irreconcilable differences as a reason for their split. Finally, on October 2018, Pratt finalized his divorce from his wife Anna Faris. The former couple parted their ways more than a year ago after eight years of marriage. Chris and Anna have joint custody of their son.